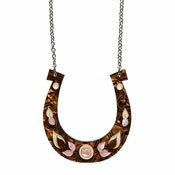 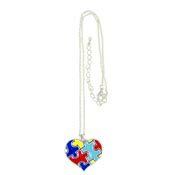 An adorable puzzle piece shape adorns this silvertone necklace. 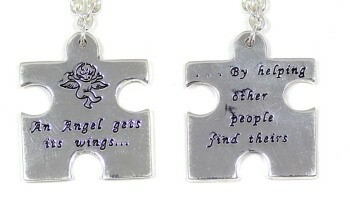 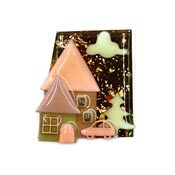 The puzzle piece reads "An angel gets its wings....by helping other people find theirs". 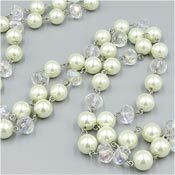 This necklace also has an adjustable length chain. 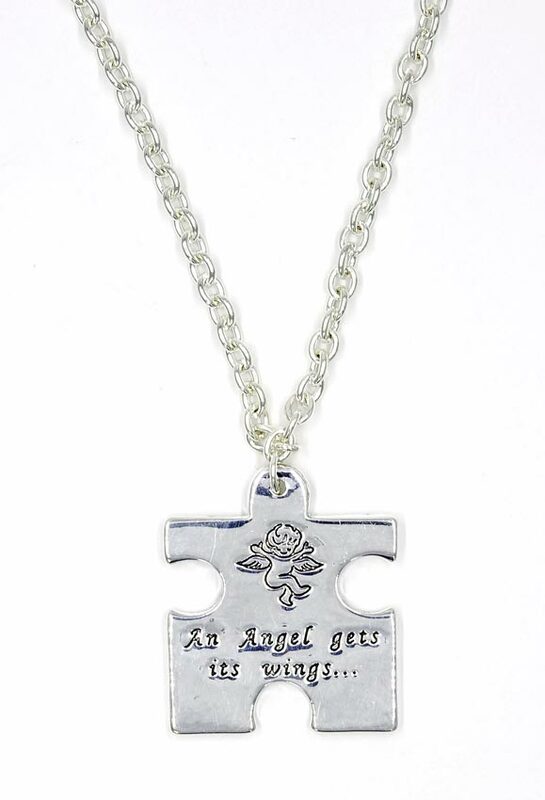 Cannot be shipped to CA.